What does it take to turn an idea into a success story? Success stories don’t come easily, it requires many and many hours of development until you have the solution that meets real needs! 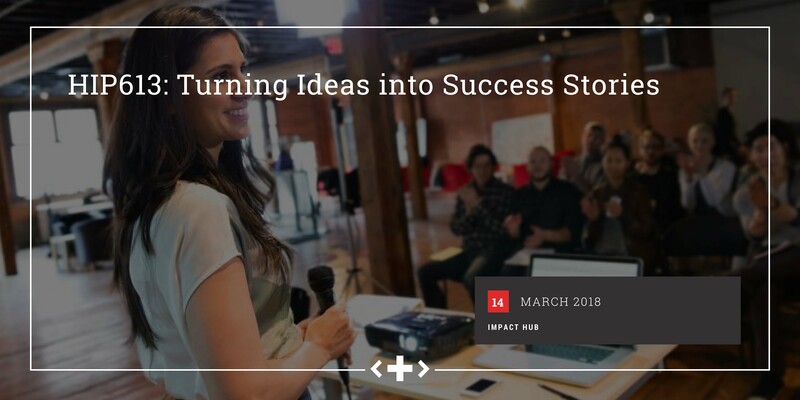 Join us Wednesday, March 14 from 6 PM to 9 PM at Impact Hub for an inspirational night as we listen to passionate leaders obsessed with helping solutions to help hospitals and clinics deliver better care to patients. At this event, we are fortunate to have #HIP613 Graduates speak about their journey at last year’s program. We will also get to hear from some more seasoned entrepreneurs here in Ottawa. We will get the opportunity to learn to their experiences, lessons learnt and guidance on how you can succeed at the Hackathon in April. This cafe is part of the 2018 Health Innovation Program (#HIP613) that aims to break down the barriers to healthcare innovation. Suzanne draws upon her diverse experience to envision an iBIONICS that will profoundly change the lives of thousands of blind people. She is a bold international entrepreneur accustomed to highly complex and pressured environments. Suzanne served Canada as an engineering officer in the Canadian Armed Forces and made her first foray into entrepreneurship by successfully bootstrapping a strategic communications agency and publishing house in a frontier market. Her clients have included Virgin Health Bank, Samsung, Accenture, HSBC, Carnegie Melon University, Fujitsu, Siemens and Shell, to name a few. Michel Paquet, an experienced leader with more than 20 years in technology, founded Aetonix Systems in 2014 focusing on improving communication and efficiency between patients and healthcare professionals. Prior to Aetonix, Mr Paquet was Engineering Vice-President at Wind River, a subsidiary of Intel for 7 years, leading the VxWorks product development. Mr Paquet also occupied leadership position at IBM, Rational Software, and Nortel Networks. Mr Paquet has many years of experience with managing R&D team distributed globally and with developing and introducing product to market. With Aetonix, Mr Paquet aims at helping people with special conditions in a home setting to connect with the proper circle of care members and to receive the care require. Dr. Kevin Cheung is a board-certified plastic and reconstructive surgeon at CHEO and a Hacking Health Graduate responsible for two projects: Patient Wait Time & Free Flap Monitoring. His clinical interests include pediatric plastic surgery, congenital hand deformities, brachial plexus injuries, and vascular anomalies. Dr. Cheung received his medical doctorate from Queen’s University, Kingston, Ontario in 2009. His residency training in Plastic and Reconstructive Surgery was completed at McMaster University in 2014. He recently completed a fellowship in hand and microsurgery at Harvard University in Boston, Massachusetts. Susanne Rutherford and Caitlin Schwartz are Hacking Health Graduates who developed an app focused on preventative care for women. Their product, the Women’s Health Information Tracker (WHIT), won numerous prizes after the pitchfest. Their app organizes a custom wellness plan for women based on factors such as age and medication needs, and sets reminders for women to schedule mammograms and other crucial checkups.